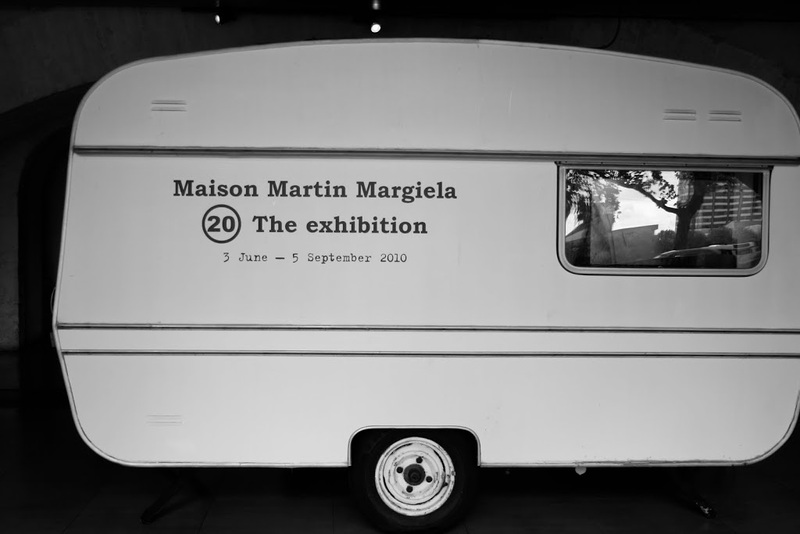 Yesterday, I took my mum and Mila to see the Maison Martin Margiela Exhibition at Somerset House which ends next weekend. So three generations, three different reactions…. My mum told me that she wouldn’t have gone there by herself but she enjoyed it and thought it was interesting. My five years-old daughter to who I was saying that it was important that she saw other creative things than Cbeebies or Ben10 told me that ‘nothing was really important‘ but she loved the Fashion Show invit’ done on a plate and the people who were filming themselves at home wearing Margiela’s clothes and I really enjoyed finding out more about this unique fashion designer, understand the inspiration behind some of his clothes and have a peek at his inspiring offices in Paris. Maison Martin Margiela is one of the world’s most influential fashion houses and is especially known for its deconstructivist approach, its fashion shows in unexpected places and its taste for recycling materials. One of the most remarkable characteristics of Maison Martin Margiela is its consistent use of white (something I favour) in offices, shops and showrooms. More than the clothes themselves which are not always easy to wear – I’m thinking of the fur jacket made from blonde wigs from the Spring-Summer 2009 Artisanal Collection which took 51 hours to make, I have always admired Martin Margiela’s scenography in shops and his home and how he uses typography and from an interior design point of view rather than fashion, this was a very good and inspiring exhibition to see. Sadly we could not take any pictures inside but I took as many as I could outside. I hope it will give you a feel of it but if you can, I recommend you go there next weekend as it ends next Sunday! If you go there, you may want to get hold of a copy of the Exhibition catalogue which is full of inspiring ideas to use typo and I think I may steal a few ideas from the show to display our family pictures at home. Wishing you a good week! Wow! I am so surprised in this post. I like those magazine pages that you post. I like what you did. You are a very creative person I can see it on this post.